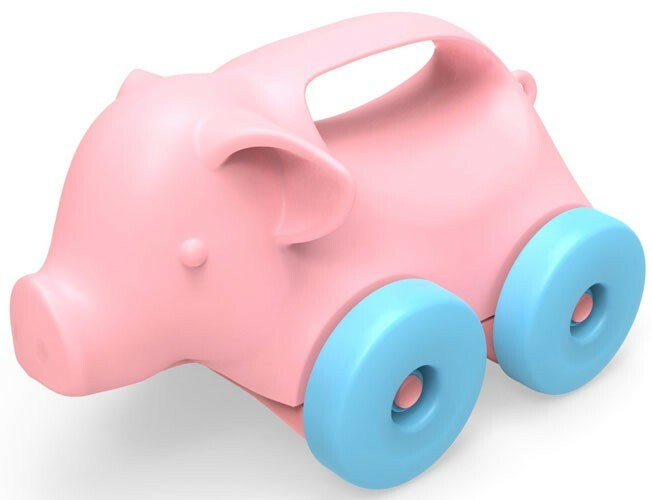 Roll in the mud with this adorable wheeled pig! Open play is the name of the game with the Green Toys Animals-on-Wheels fun, friendly-faced push toys for babies and toddlers. 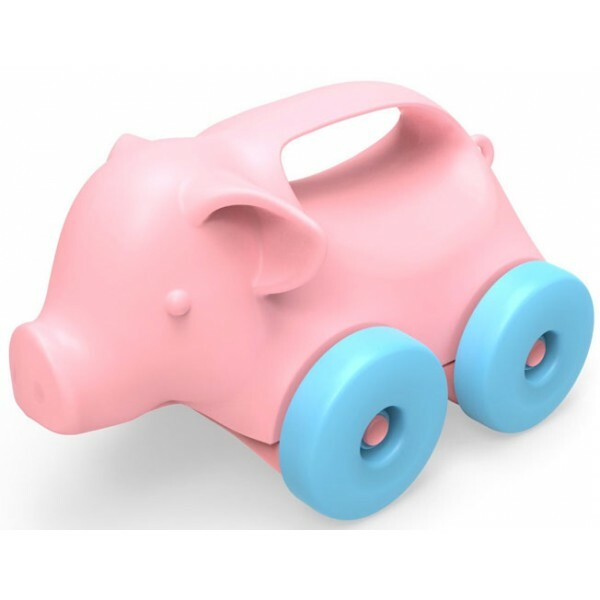 Made in the USA from 100% recycled plastic milk jugs that save energy and reduce greenhouse gas emission, the Pig On Wheels features an easy-to-grasp handle and free-spinning wheels that encourage both fine and gross motor skill development. The compact, rounded bodies are designed with no sharp edges or metal axles, making these rollers perfect for encouraging imaginative, eco-friendly play for early crawlers. It's super safe with no BPA, phthalates, or PVC, and dishwasher safe for easy cleaning.